Hi Alison, can you tell us about running your own practice? I was coming to the end of maternity leave and was contemplating my return to work when I had the chance to do a one-off project for a developer, and I realised there were opportunities to do more work independently. The business just built from there. 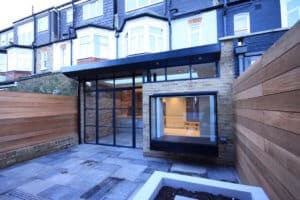 I specialised in residential projects and often my clients were spending their life savings. That put my focus firmly on looking after them, meeting their needs and leaving them with spaces that improved the way they lived. It was an exciting and challenging time. I love working with the end users of buildings. For me that’s what it’s all about – finding ways to resolve problems in creative, cost-effective ways. So what brought you to Lungfish? It was a lifestyle change. We moved across the country and it was time for something new. I’d worked in education before, so the focus on schools really appealed. Lungfish is also doing really interesting work in housing, so that was a good fit for me too. More than anything though, I liked the team’s people-focused approach. Like I said, that’s what it’s all about. We’re working on a modular housing model – taking the approach we’ve used in education and applying it in a whole new field. The idea is to create a solution that can be rolled out across the country, but adapted from one scheme to the next. 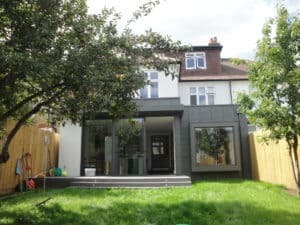 For clients, it’s a chance to streamline the home-building process, using a fantastic kit of parts to build quickly, cost effectively and sustainably – even on tricky urban sites. Which projects have you been most proud of so far? 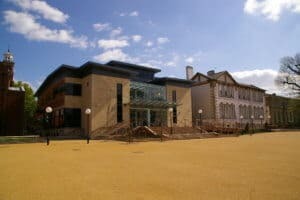 Going back a few years, I worked on a new performing arts centre for a school in Wales, and a new teaching block for a North London independent school. Each campus had lots of history, so it was an interesting challenge to marry that historic architecture with something brand new. It’s hard to pick a favourite project though. 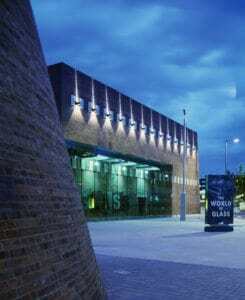 I also loved working on The Ark, an iconic office building in Hammersmith originally designed by Ralph Erskine, and on the World of Glass in St Helens. You’ve lived and worked in Hong Kong haven’t you? That’s right. I grew up in Hong Kong and I think that shaped my interest in architecture from a very young age. 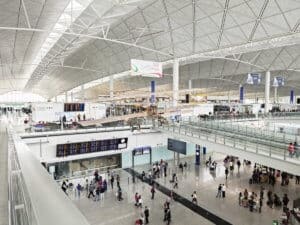 Then, early in my career, I was at Foster + Partners in London and I heard they needed people for the Hong Kong International Airport project. I jumped at the chance. The timing meant I could be there for Hong Kong’s handover to China in 1997, so it felt like it was meant to be. Although I joined the project when construction was underway, and at quite a junior level, the experience was a real eye-opener. I got to work for a hugely well known practice on a real flagship project. Our offices were based on site, so we got first-hand experience of the sheer scale and complexity of the build. 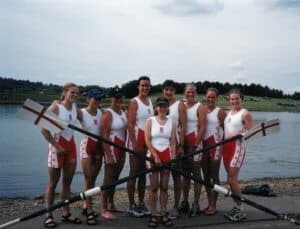 I was a keen rower in my 20s and 30s and it’s given me a strong sense of teamwork. 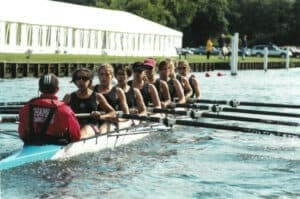 In 2001, my team won at Henley and the national championships, so we qualified for the Home Countries event. It was incredible to represent England and we took home golds in the open fours and open eights. Our most exciting education project yet – a forest school that’s going to transform the way its community learns and grows. The client’s vision for the scheme is very ambitious, so it’s great to be bringing it to life for them. 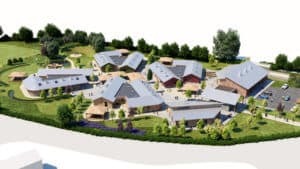 It’s going to be an imaginative, user-focused space shaped entirely around the children’s development – really pushing the boundaries of educational design. What is it about architecture you love so much? 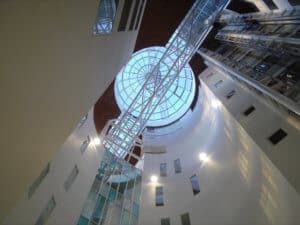 Architecture can be grand and spectacular, but in the end it really comes down to functionality – solving clients’ challenges to create successful spaces. Ultimately, architecture doesn’t have to shout and scream. You can achieve important, life-enhancing change very quietly indeed.